The rumoured 2020 Lexus IS 400 isn’t set to be a full-cream performance model by F division, but more of a sub-performance version by its F Sport sector. It’s believed it will feature a range of performance-inspired features, such as large wheels hiding big brakes, sports suspension, and the usual F Sport treatment for the interior. As for that engine. Lexus introduced its first turbocharged petrol engine, codenamed ‘V35A-FTS’, with the LS 500. The 3.5-litre twin-turbo unit essentially comes in to replace the naturally aspirated 3.5-litre V6. Let’s just be upfront — this news is coming from an unsubstantiated source, there’s nothing to back up these facts. However, the V35A-FTS twin-turbo V6 makes perfect sense in the next-generation IS sedan. That said, 416 horsepower seems excessive in the standard model, and Lexus has yet offer serious performance upgrades with their F SPORT models. If the rumor is correct and the TTV6 is not meant for the next-generation IS F, then what powers that car? Wild rumors out of Japan. 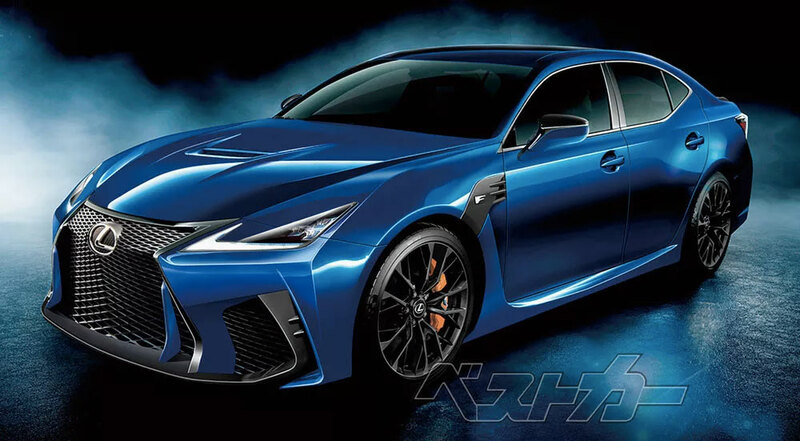 Next-Generation Lexus IS F in 2022? A long time to wait. Next-Generation Lexus LX 500 Coming in 2020? Replaces the V8 with TTV6.